Attached are pictures by grade level (K-2), of the students who had perfect attendance all summer and received a backpack full of school supplies. May 2018: Disbursement of up to $3,324 for Title I elementary school, Georgian Forest, to conduct a literacy intervention program for 40 students reading at least one year below MCPS benchmarks. Somerset Foundation paid $1649 and Bradley Hills Foundation paid $1675. May 2018: $1,829 for new Somerset Elementary classroom tables in the fourth grade to promote collaborative learning in mathematics. 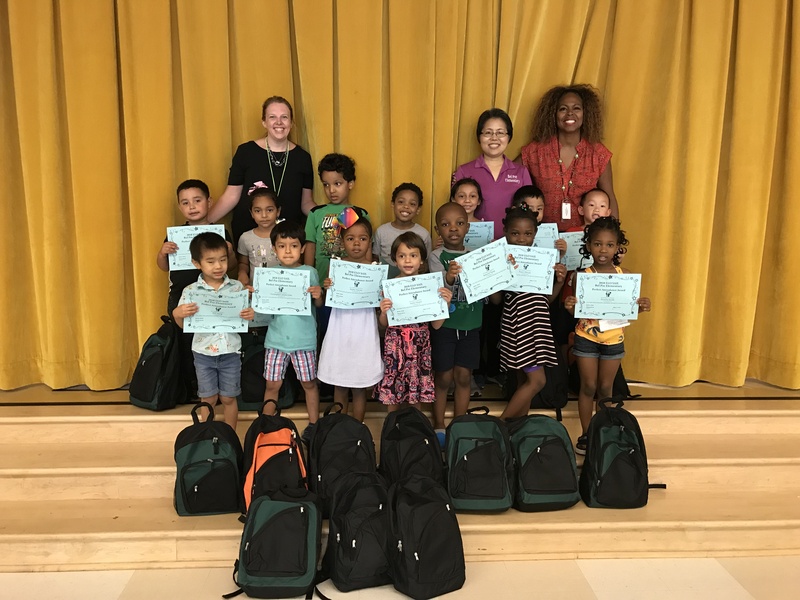 May 2018 — $1,020 for SES kindergarten teachers to run a summer reading intervention group for rising 1st graders who ended school year below recommended reading level. 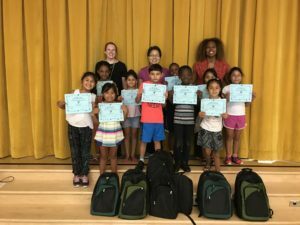 May 2018 — $923 for Rolling Terrace Elementary School, a Takoma Park 72% FARMS and 59% Hispanic school, to help pay for a Spanish-English language summer immersion curriculum. April 2018 – $1,113 to pay for Tracy Jeffcott and Brooke Flores to attend Common Ground conference focused on digital learning. March 2018 – Up to $2,000 for the Somerset Elementary School pantry, which provides food and essentials to Somerset families in need. March 2018 – Up to $4,000 in grants to Title I elementary schools within Montgomery County. 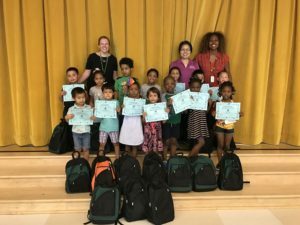 January 2018 – $1,000 to help fund educational field trips for students at Daly Elementary School, a Title I school in Montgomery County, and to help replenish the school’s “Neediest Kids Fund” which enables students from low-income families to attend field trips with the rest of their class. January 2018 – $3,750 to pay Somerset Elementary School staff members who lead after-school professional training groups at the school, including funds to help support Somerset’s popular STEM Night and Reading Night. This proposal has been funded in previous years as well. September 2017 — $11,240 to fund the After School Clubs that provide remedial assistance to Somerset students in need of math, reading, and writing assistance. This proposal has been funded in previous years as well. September 2017 — $2,395 to fund a subscription to BrainPOP, an interactive educational website focusing on STEM education and used by all grades at Somerset Elementary School. This proposal has been funded in previous years as well. September 2017 — $933 to fund a subscription to Junior Scholastic magazine for the fifth grade students at Somerset. This proposal has been funded in previous years as well. May 2017 — $2,089 for Rolling Terrace Elementary School, a Title I school in Montgomery County, to purchase Chromebook computers, software, and a laptop cart. January 2017 — $856 to fund travel for Kelly Morris and Maureen Turner to attend the Association for Supervision and Curriculum Development national conference in California, which included topics such as the whole child, transformational leadership, global engagement, and poverty and equity issues. November 2016 — $590 to fund the purchase of headphones for Sequoyah Elementary School, a Montgomery County school that, while not a Title I designee, has a 61% FARMS eligibility rate (for free and reduced priced meals). 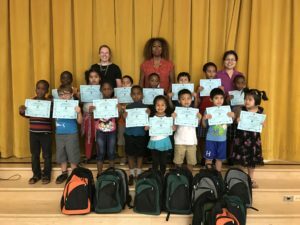 May 2016 — $1,000 to help fund the cost of an educational field trip taken by fourth grade students at Viers Mill Elementary School, another Montgomery County school that, while not a Title I designee, is a high-FARMS school. This proposal has been funded in previous years as well. April 2016 — $2,165 to fund a Social Thinking training conference for Somerset’s two full-time special education teachers and the school counselor to attend. November 2015 – $2,200 to approve the purchase of an Apple MacBook Pro computer and software for the Somerset instrumental music teacher to train students and staff on creating and sharing interactive music videos. On Tuesday night, March 20, the Somerset Foundation approved two grants. First, the Board approved up to $2,000 in funding for the Somerset Elementary School pantry, which provides food and essentials to Somerset families in need. Next, the Board approved up to $4,000 in grants to Title I schools within Montgomery County. These grants build on funding that the Foundation approved at its previous meeting in January. On January 30, 2018, the Board approved $1,000 to help fund educational field trips for students at Capt. James E. Daly Elementary School in Germantown, MD. 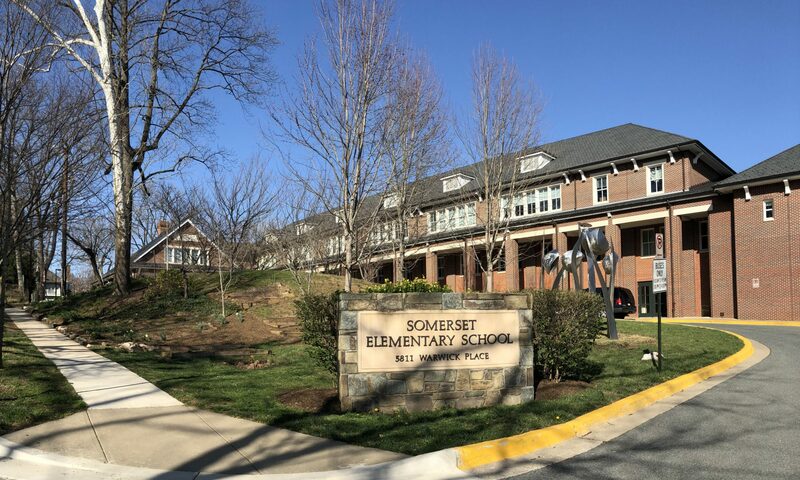 That evening the Board also approved $3,750 in grants for programs at Somerset Elementary School, including funds to help support Somerset’s popular STEM and Reading nights. These grants were made possible through the generosity of the Somerset community, donating money through Foundation initiatives like the annual fall fundraising drive and the annual spring party. The Foundation thanks the Somerset community for its support! **Please consider providing ongoing support to the Foundation through http://smile.amazon.com by registering Somerset Elementary School Educational Foundation Inc as your supported charity for Amazon purchases. Also, please purchase tickets to the Foundation’s spring party, https://cbo.io/somersetfdn/tix, one of our two key fundraising events for the year.